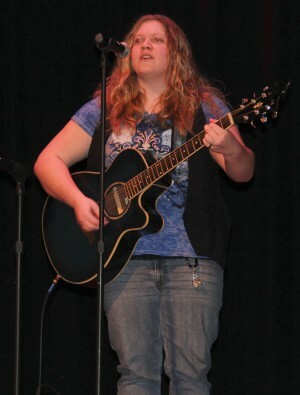 The Altmar-Parish-Williamstown Junior/Senior High School Music Department hosted the annual Talent Show on February 14. 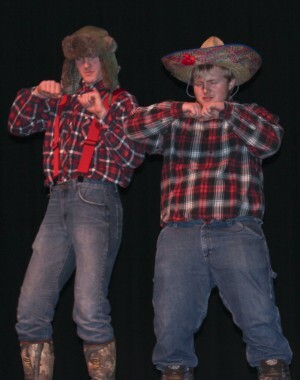 The evening featured a talented roster of musical and artistic performances that was hosted by the comedic duo of Michael Hale, Jr. and Cole Pappa. The duo are pictured performing a dance routine for the audience between acts. Mikaela Derby performs an original corridor during the Altmar-Parish-Williamstown Junior/Senior High School Talent Show that took place on February 14. This annual event, sponsored by the school’s music department, featured a roster of talented performers.